More than 100 Malawians who were displaced during an attack on foreign nationals at a Durban informal settlement last week have asked to be repatriated. This was despite calm being restored at the Burnwood informal settlement, near Reservoir Hills, following an intervention by Durban mayor Zandile Gumede and acting Malawi high commissioner to South Africa Gloria Bamusi on Saturday. 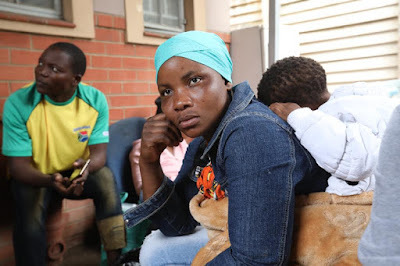 The eThekwini municipality said in a statement on Monday that the majority of Malawian nationals who had fled the "xenophobic attacks" at the informal settlement had now returned to their homes after calm was restored. The attacks on Malawians started after a Malawian was allegedly found in possession of stolen goods belonging to a South African. "This unfortunate situation was then hijacked by a group of locals who started kicking out other Malawians in the name of getting rid of 'criminal elements'," said Gumede in a statement. As a sign of extending an olive branch, the Malawians wrote a letter apologising for those who had committed crime and this gesture was overwhelmingly welcomed by the locals who indicated that they were ready to welcome the Malawians back into the community. Gumede said the integration and repatriation processes were at advanced stages and the eThekwini municipality was confident that by Wednesday all processes would have been concluded. "We have managed to return the situation to normality. A large group of Malawian nationals has opted to return to Burnwood informal settlement. "However, we have about 105 Malawians who have asked to be repatriated. We are helping them together with the International Organisation for Immigration and the Malawi High Commission," she said. Bamusi said the Malawi High Commission supported all the processes that were taking place. "Now that all the issues have been resolved, we believe that the community of Burnwood and our people from Malawi will live in a peaceful co-existence," she said. ANC MP and member of the Pan African parliament, Nkosi Zwelivelile Mandla Mandela, also called on South Africans to work together to combat criminal and xenophobic acts. "The acts of violence and criminality against Malawian nationals in Durban over the past week are reprehensible and deeply shameful. "As a nation we must do whatever we can to ensure that the ghosts of unresolved xenophobic violence in our recent past - arguably among the darkest days the democratic nation has had to endure - do not rise again," he said. The South African Human Rights Commission (SAHRC) joined the chorus of voices condemning the attack at the Burnwood informal settlement. It said in a statement on Monday: "The SAHRC strongly condemns the recent widespread attacks that have taken place in KwaZulu-Natal, Limpopo and other places, as well as all other forms of xenophobia, discrimination and abuse of migrants.